Anyone can practice. 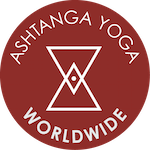 AYW makes efforts to make the Ashtanga Yoga practice accessible to all interested students. We will use skillfull means to tailor the practice to the individual needs and aspirations of each practitioner. We will offer an informed opinion about the best way of using the techniques of Ashtanga Yoga to meet the students goals. We can practice at home, at the shala, or on the go. We may find that over the course of practice we are called to practice in any number of environments. Each may offer some challenges and some benefits. Can be a moment of routine in unfamiliar environment. Each person needs to find a routine that works for them. Having a routine frequency and time of practice can help to create a routine of practice and is key to reaping many of the benefits of practice. Many benefits of practice either accumulate, or only come after practicing for some time. It is good to practice 3-6 days a week and at a time of day when you can be consistent. There will be some variability in the appropriate number of days per week to practice for optimal results. You can speak to your teacher if you have any questions. Every practitioner finds their own motivation. Their reasons may shift over time and due to circumstance. It is useful to engage in conscious self-reflection to consider your reasons for practice as this will largely direct the way that you practice. It is useful to share your motivation and goals with your teacher so that you can work together in harmony. This is largely determined through a consideration of the prior questions. There are many variables that can be adjusted to customize the practice on any given day. This includes the number of poses that we do, the pace that we follow, the effort that we put in, the attention to detail, etc… The ashtanga yoga experience is a sophisticated and complex system.